Built in 1965 by the United States Air Force to house radar used in the defense of the Panama Canal, the tower was demilitarized and transferred to Panamá in 1996. 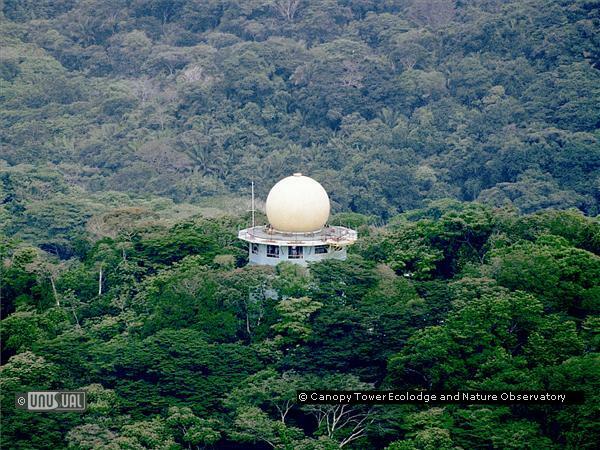 Dominating the roof is the 30 foot (10m) high geotangent dome with an observation deck surrounding it from which you can see the Pacific entrance to the Panama Canal and the skyline of Panama City. The top floor is used as the main dining area, and is completely surrounded by panoramic windows. The second and first floors provide the living space with ensuite bathrooms and large windows to observe lower levels of the forest canopy. 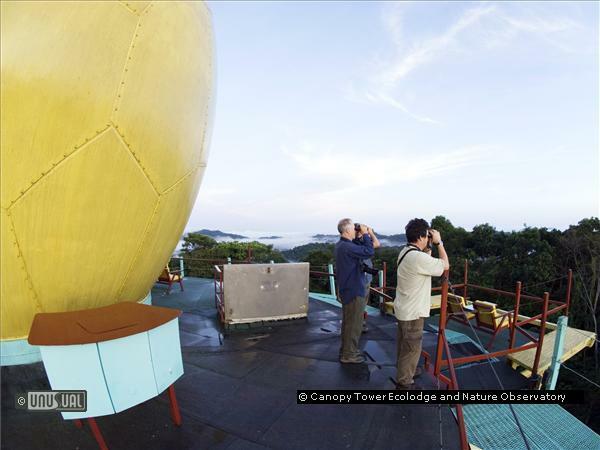 It provides unique, close-quarter, views of rainforest birds in the tree canopy. You are never more than 40 feet from the birds and should pack earplugs if you are a light sleeper and don’t wish to be woken at first light. Dawn awakens the birds on this migratory route and you’ll have ample opportunity to see birds normally glimpsed high in the tops of trees, right outside your Canopy Tower room. 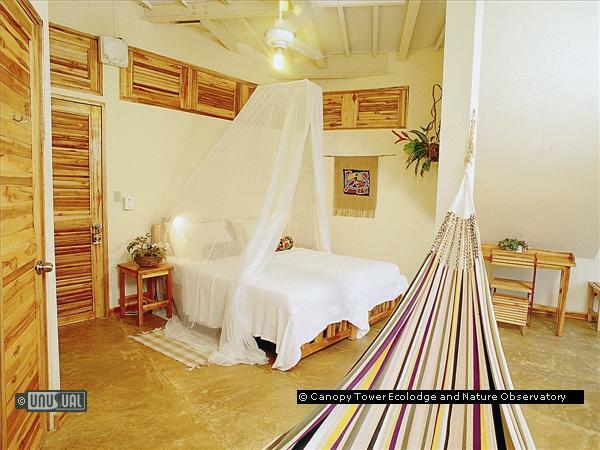 Fees include full board dining and entrance fee to Soberanía National Park. Canopy Tower does not accommodate children younger than 13 years of age. 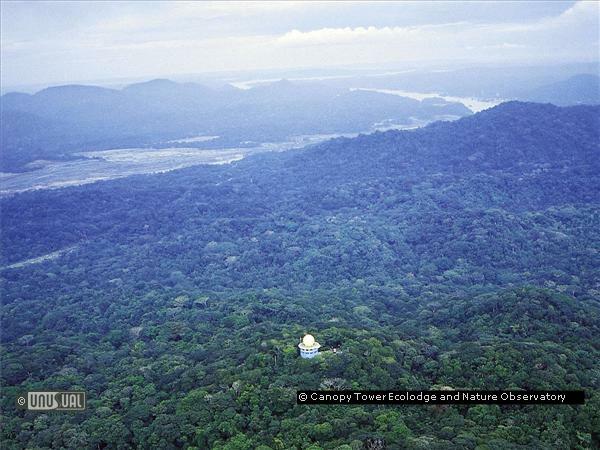 Located on top of Semaphore Hill, in the heart of the semi-deciduous Soberanía National Park, it rises above the tree canopy. If you’re not a bird watching fan yourself, then the activities of Panama canal are likely to be the main attraction of the area. There are two sets of locks on the Pacific side of the Canal, Miraflores and Pedro Miguel a short drive from the Tower, as well as the Panama Canal Visitor Centre. Panama City itself is interesting and in late 2007 The Bridge of Life building at the Museum of Diversity, designed by Frank O. Gehry opened, as another stunning Gehry design,worthy of a trip to visit." 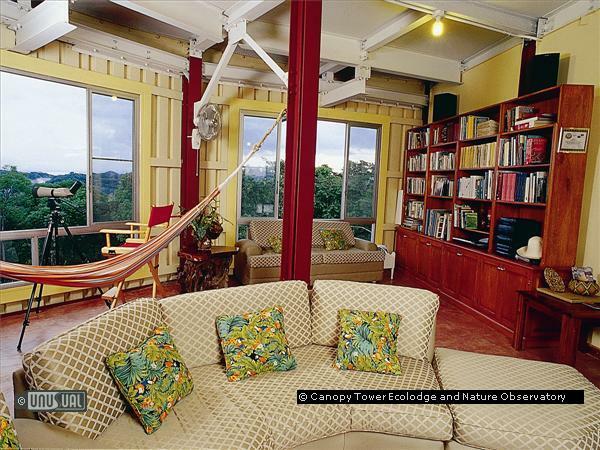 My wife and I stayed at Canopy Tower in January, 2004, and had a wonderful time. The rooms are small, but comfortable. The food is great. The top floor lounge/dining room was a great place to hang out with other birders. And the views from the tower are simply amazing. Friendly and knowledgable guides were available to lead tours to a variety of bird and animal watching locales. There are also great hiking trails around the tower. 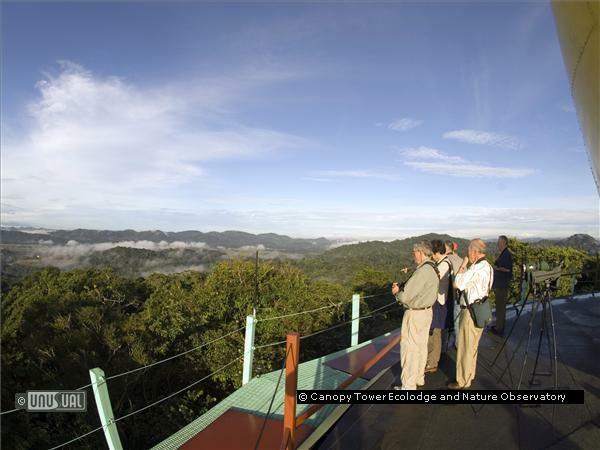 If you want to wake up to Howler Monkeys, add to your birdwatching life list, or share a Twizzler with a coatimundi, Canopy Tower is a great place to stay.